Get in touch and mention the discount! 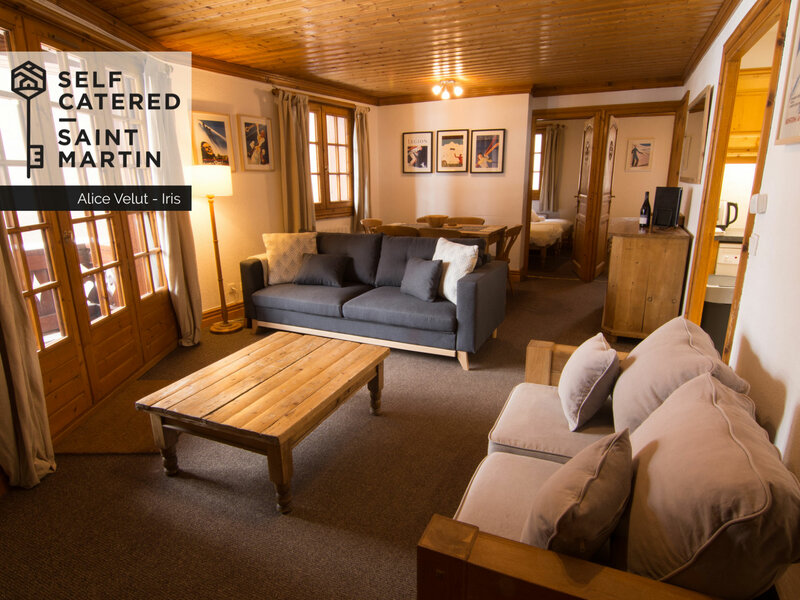 50 metres from the nearest ski lift and in the heart centre of Saint Martin de Belleville, a charming and traditional Savoyard Alpine ski village within the Three Valleys, Chalet Alice Velut has been sensitively converted into 5 self-catered holiday apartments. Each apartment is self contained and offers external balconies and stone fireplaces. 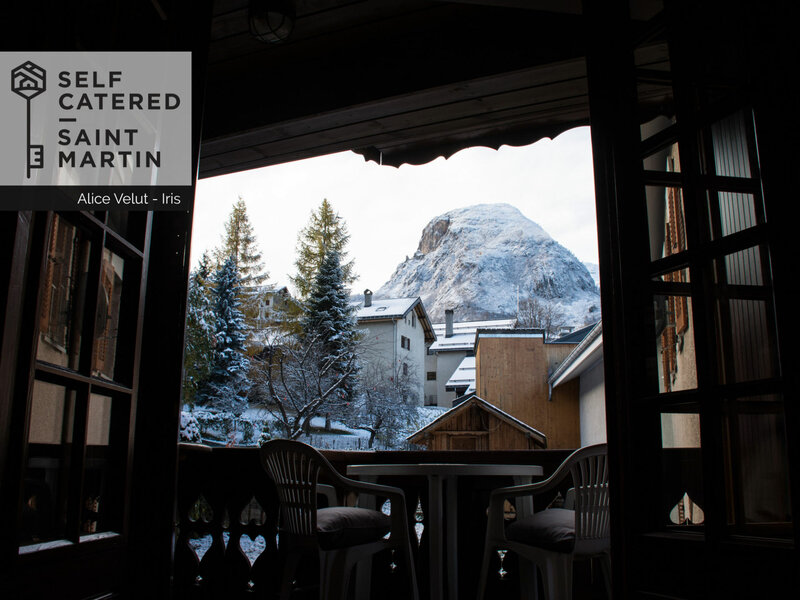 'Iris' is a 65 squared meter chalet apartment situated on the ground floor of Chalet Alice Velut. 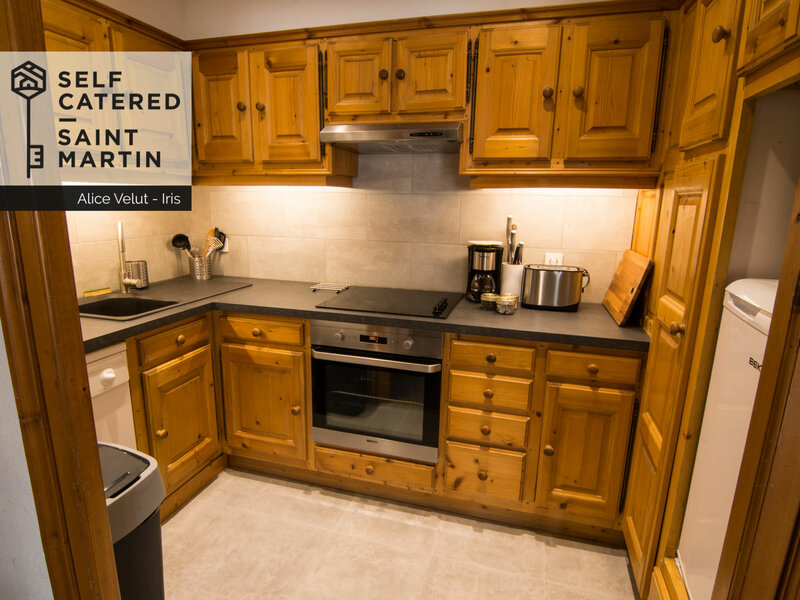 It has 2 bedrooms that share one bathroom and a separate WC, a spacious and bright open-plan living and dining area with niche kitchen and access onto a lovely balcony with outside seating and village / mountain views! 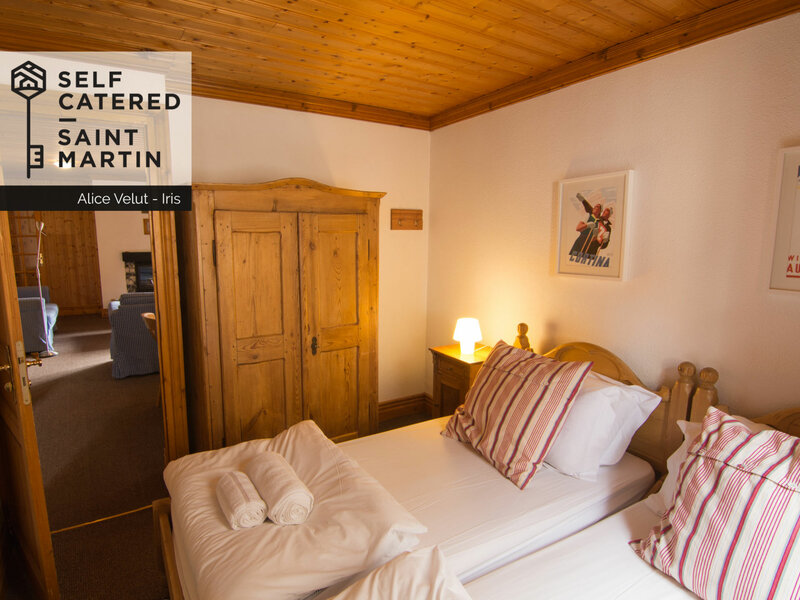 Chalet Alice Velut is situated in the centre of the village, tucked neatly behind the church, opposite the tourist information centre and amongst all local amenities, shops and restaurants. The closest ski lift which is within 50 meters distance, is a short drag lift that brings you up to the main gondola of Saint Martin de Belleville. 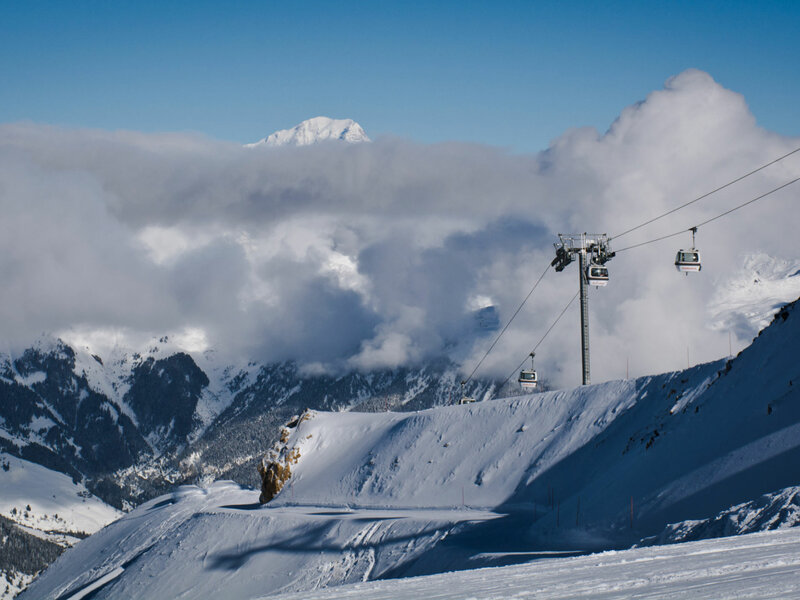 From there first an 8-seater gondola then a brand new 6-seater chairlift bring you to the top of St Martin. Up there you are right in the heart of the 3 Valleys and can either ski directly down into Meribel on the left, or down into Les Menuires and towards Val Thorens on the right. The skiing is fantastic, and the piste comes right down into the centre of Saint Martin until the very end of the season. 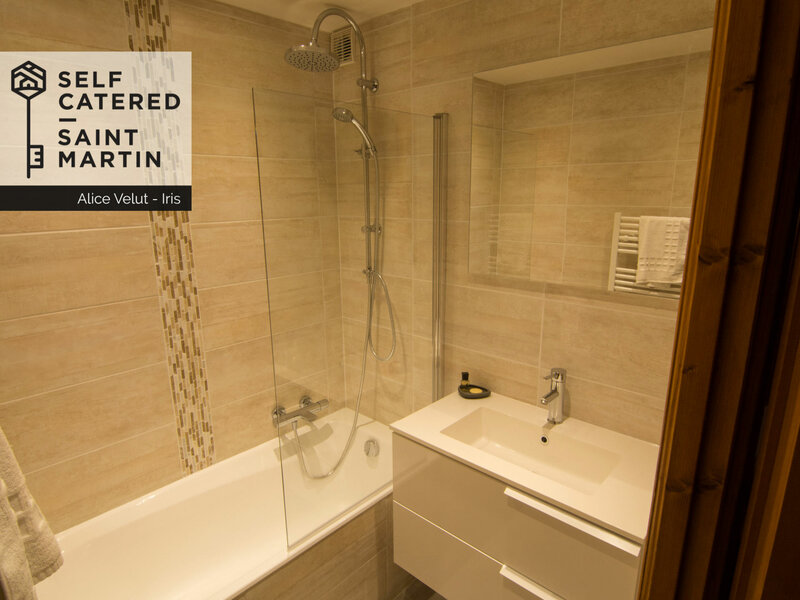 We simply ask you to treat Chalet Iris as if it was your own home!